Are you ready for your moment in the sun? I’ve spent the last week cutting the grass in my garden. Yes, it took me a whole week – I don’t even have a large garden. It’s not as simple as pushing a lawnmower up and down – my grass has been neglected since last summer. It’s that long, the rain doesn’t even make it down to the soil– even in a storm! In fact, I was surprised not to find a giant panda hidden in there somewhere, in between the long grass! I used to laugh at my neighbour when he went out in the winter to cut his grass, trim the hedge and remove the weeds from his garden. I’m not laughing now because while I am tidying up my jungle in the hot weather, he is sitting back in his scenic garden enjoying a drink and soaking up the sun. If I had taken the all-year maintenance approach that he has, I wouldn’t be working so hard on my garden when the sun came out; knowing that by the time I finished everything, winter would be here and I’d have no time to enjoy it! It’s the same with PR and marketing – it works best when you do it all year round rather than just when the sun comes out. Like my neighbour going out in the winter to tend to his weeds while I stay inside in the warmth, PR is a constant thing and has limited success when only done once for a short space of time. In this scenario, my neighbour represents a business using PR properly. 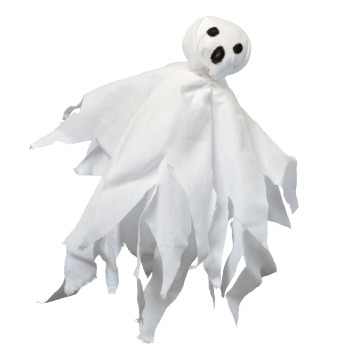 Those that have not been tending to their gardens all year round are like businesses that have no PR collateral. When the winter was here it was easy to sit inside and stay warm and laugh at your neighbour as he braved the cold to cut his grass. When other things became more important than PR you did not raise your business’ profile. Now your moment in the sun has arrived and you are only just starting the work – it’s too late. By the time you have finished your garden, winter will be here and you will not have spent a single day relaxing in your garden or enjoying your hard work. When your business has its moment in the sun and you want to let everyone know you have just won an award or enjoyed a record breaking month, it’s really hard work. Nobody knows who you are because you have not been steadily raising your profile so your story is not as interesting to others as it could have been. 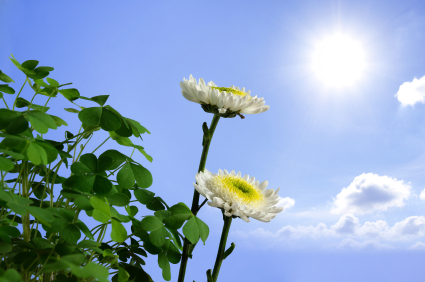 It’s a vicious cycle and just like if you want to enjoy your garden in the summer months, if you want to enjoy your business’ moment in the sun then your PR and marketing has to be constant, even when it doesn’t seem so important – to make sure it works when it is important. I don’t know what you will be doing this winter but I’ll be joining my neighbour, outside in my woollies, cutting the grass in my garden! 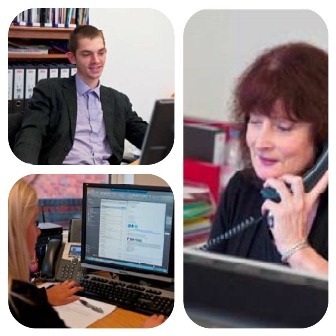 The first quarter of 2013 has been of the best ever at Bridge after securing five new clients in just four new months. You may have seen in the press news of our biggest ever client win following a successful pitch to independent garage scheme: Trust My Garage. This came amid new contracts with Obsession Salon & Spa, atg airports, BAKER and most recently, logistics company, BDA. It seems that businesses throughout the UK are starting the year with ambitions of growth and in order to achieve this growth, they are taking a fresh look at their marketing strategy. Financially, it continues to be a very difficult time to be in business in the UK, but the latest quarterly findings from BDRC Continental’s Business Opinion Omnibus reveal that SMEs continue to remain optimistic about the UK economy, posting a net optimism score of +10% in Q1 2013, more than twice the level seen in the same period last year. This optimism is backed up by the large number of enquiries we have been receiving for our own services so far this year. 1. If nobody knows you exist, how are you going to win new business? Whatever line of business you are in, one of the biggest challenges remains the same and is crucial to business success – how do I attract new clients and win new business? You can have the best company in the world, but if nobody knows that you exist how are they going to buy from you? PR is all about raising your profile and getting your business in front of the people that matter most, whether that be fellow businesses or consumers. We employ a mix of traditional and digital PR services to help put your company name in front of your target audiences includingarticles in trade press, local consumer press, social media activity and e-marketing. By developing a robust marketing strategy and taking the care to understand your business and your audience we can make sure that you are getting seen by potential new customers. Competition in business has never been more fierce and the battle for business remains difficult to win, whatever industry you operate in. PR and marketing can help. If you keep seeing your competitors’ names everywhere then perhaps it is time you looked into doing some PR and marketing of your own? Why not put your business in the spotlight and be the one that is always being seen! When it comes to success in business, it helps to have your local community on your side. If you don’t already have the support of your local community or you want to strengthen this support, now is the time to join millions of other business in planning some PR and marketing activity. Utilising local press to tell positive stories about how your business is injecting cash or jobs into a local community can be really useful in winning over your local area. These days, the banks are rarely generous when it comes to lending so an alternative source of funding is commercial sponsorship or investment. If potential investors do not know about your business, however, they certainly won’t be investing any money into it any time soon. Trade press can be a really useful way of reaching out to potential investors and letting them know all about your business by sharing some of your success stories. You have already saturated your existing markets and are looking to branch out somewhere new. PR and marketing is the answer. By employing a mix of traditional and digital PR, you can help create a name for yourself in markets that you have otherwise been missing out on or that you have not yet explored. Whether your new market is a geographical one, or in different sectors, we can help by targeting your key messages specifically to these audiences. It is said that the editorial endorsement of PR is so powerful that a page of PR coverage is worth 3-5 times a page of advertising. We have welcomed five clients so far this year with ambitions to grow, attract new business, saturate markets and get ahead of the competition. Join them and give us a call on 02476520025 to discuss where we can take your business with a successful strategic PR and marketing campaign. It is quite possible that right at earth’s creation, had Adam been a journalist and Eve a PR Manager, then none of us would exist today. The first two people on earth would also be the last, such is the awkward relationship between PR experts and journalists, according to many stereotypical views. In truth, it’s not like that – it never could be! Our jobs, responsibilities and interests are too similar and we co-exist to help each other out. Without PR people, journalists would spend an awful lot more time sourcing interesting stories and without journalists, PR experts would have nowhere to tell the stories of their clients. At Bridge, we pride ourselves on good media relations. Just the other day we had a reputable trade publication call us up, asking for more stories from our clients. We build long-lasting, positive relationships with the media for our clients, investing time in getting to know them, understanding what stories they look for to include in their publication, and working with them to secure valuable coverage for our clients. To many, the way to get a journalist on side is to send them food or wine, or take them out to lunch. It’s not (although it is a nice thing to do) so put away those fancy canapés, put the fancy biscuits back in the tin, cancel your ‘informal’ meeting you had booked with your local newspaper and read our top five tips for strong media relations. Never mind if a client is telling you they want to be seen in a particular publication, unless you find a story from them that is relevant to that publication, it’s not going to happen – and journalists hate nothing more than being given inappropriate stories. Before pitching a story, read through the publications you are approaching and make sure the content suits their topic area, tone and style. Following up on previous topics covered is always a good way to get a journalist interested in your story as it shows that you are paying an interest in their publication. No, we don’t mean invite them out to clubs, get them drunk and make them sign a contract stating that they will publish your client’s story on pain of death. You don’t need to be a stalker to be sociable! Follow journalists on Twitter, connect with them on LinkedIn and respond to the discussions they start. We regularly feed into conversations with journalists on Twitter that they start, just being friendly without pushing any of our stories down their throats. Remember, journalists are human beings too. So you’ve sent over a press release to a journalist? Don’t call them up a day later and ask them if they have used it. If they are going to use it, they will – bombarding them with phone calls will only put them off the idea. Would you like it if you bought your weekly shopping from the supermarket and they rang you up a day later and asked if your milk was tasty enough? Then they rang the next day and asked about your bread? You wouldn’t – so don’t do it to journalists. Make sure you give journalists what they want. Trade press often release details of forward features – get yourself a copy and see what topics they are covering throughout the year. Relay it to your client and come up with a suitable story that meets the feature’s needs. Journalists are always looking for stories so make their job easier, and provide for them exactly what they want. Not everything you send to a journalist will be published – that’s just life. Sometimes there is no room, or other stories are just more important. That’s no reason to blacklist them and cross them off your Christmas card list – they are doing their job. You never know, it just might make it to the next issue instead. Journalists work to tight deadlines and often have a lot of work to do and a lot of PR agencies to deal with. No matter how many stories you have that are interesting, you have to remember you are just one of many. Take advantage of our media relations skills and place your PR and marketing efforts in our capable hands. 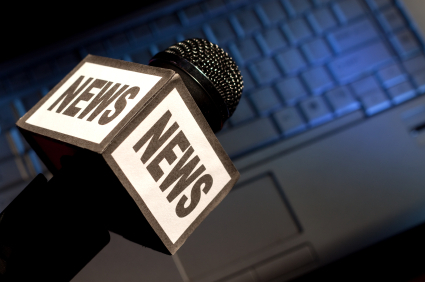 Call us today on 02476520025 and we can maximise your PR coverage through our media friends. When done strategically, marketing can have a positive impact on business development, regardless of industry sector! The event followed recent reports that 70% of CEOs have lost their trust in marketers carried out by Fournaise Marketing Group. In order for CEOs to really experience benefits Warwickshire Creative Fusion promotes the need to make marketing highly targeted, strategic, consistent, and creative. We met a diverse range of businesses from throughout the UK at the launch, and they all enjoyed the series of linked seminars bases around nine different disciplines of marketing. They covered all aspects of marketing from conceptualising campaigns to making your product go international. I gave a presentation entitled: “The pen is mightier…” which gave tips on mining businesses for great content. I was happy to present to a full room of delegates who were interested in learning about mining their businesses for good stories. There has been a seismic shift away from traditional print media to digital media. Sales of UK dailies have plunged by 20% in the past five years, however some trade magazines continue to fare reasonably well in sectors like manufacturing, but they also have a digital presence. This has completely revolutionised the PR industry and has opened up many more channels and opportunities for agencies and companies alike – but – it is a case of finding your way through all the noise and chatter. When having an online presence it is all about thought leadership and building reputation and credibility. If you can achieve this, then others will start to talk about your brand and products. Building campaigns around issues is creative and creates original content that the press will be interested in.A key tip is to create polls and stories and then your can use this information through a variety of channels. The overall message from Warwickshire Creative Fusion is that when utilised strategically, the nine key areas of marketing; public relations, video production, design and branding, direct marketing, translation, print, photography, and web development can really deliver an effective return on investment, increase sales, and raise profit margins. When flicking through the business pages of your chosen daily newspaper, scanning the pages of a business pub lication in your accountant’s waiting room, or studying an in-depth feature in a trade publication you subscribe to, you don’t often consider the journey of that article before it was printed on to the glossy pages in front of you. A fundamental part of handling a company’s PR is their ‘Account Management’. We are regularly asked, quite rightly, what this actually entails. Account Management is the umbrella that constitutes for all the hard work that goes into boosting that client’s profile. In-depth research is required in order to write a significant and relevant press release that the media are going to want to use. Initially we carry out research into the products and services of our clients, and then we look at what is new/innovative/recent/newsworthy. Alongside this we will research industry trends and requirements from the press. This can be a lengthy process as there is a lot of content out there, and we find a way to hit the mark correctly. Developing relationships with key journalists is the most fundamental factor in gaining coverage for a business. Much time is spent liaising with journalists to get them to recognise your company’s brand and services so that they are aware of whom to call on when they want information in a certain field. Conceptualisation is integrated into all of our client’s Marketing Communications Strategies. This is the creative process that involves generating ideas for campaigns and stories in sight of raising the profile of a company. This is developed alongside the research element of account management. Gauging your return on investment for PR activity is a grey area. Without paying extreme amounts for a full press clippings service then it is hard to know exactly every publication your content has been published in. Our team put many processes in place (Google Alerts, monitoring applications, individual searches, media relations) to decipher as much coverage as we can. We then measure this against the advertising charges for that publication/site. PR is arguably more valuable than advertising as it places you as industry leaders and experts in the field. The traditional method is to multiply the advertising value by three in order to work out an effective AVE figure. We ensure that we maintain regular contact with all of our clients, keeping them updated with activity and other things going on in their industry. We regularly make suggestions on things that they can be doing, i.e. answering questions on LinkedIn as an expert in their field. Every little helps! We also ensure that we schedule in regular bi-monthly meetings face to face in order to keep everything up-to-date on their contract. Some of the best stories can come out of these meetings without the client noticing there is a story in something that may have happened. If two of our team members attend these meetings then it can take a significant amount of time out of our working calendar. Many clients will hold events for various occasions. As their partner in PR we like to make sure we have a presence at anything like this. It shows support to our client and also gives us more of an insight into the type of company they are. Hopefully this blog gives you more of a rounded view of what account management entails with regards to PR. Quite a lot of work, eh? “Metaphorically speaking, a career is like a journey of bridges which you have to cross. Some long, some short, and some overwhelmingly high. 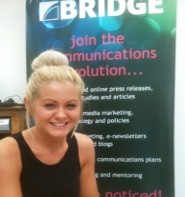 A year ago I had just stepped foot upon my first real ‘Career Bridge’… at Bridge PR & Media Services. By applying for an internship at Bridge, I was taking a huge risk. At the time of graduating I was getting paid to do some communications work at a company in Manchester. However it didn’t completely fulfil my appetite for creativity. Bridge was enrolling for an intern, and the prospect thrilled me. I knew that if I wanted to get to the other side then I had to be prepared to take a risk, as I wasn’t going to land my dream job in PR if I possessed diddly squat experience in it. So I moved back down to the Midlands and propelled myself into the world of PR – something I had only experienced within a module at University. Studying a Journalism degree equipped me with the tools I needed to succeed in the world of PR. With my news head firmly screwed on and my research skills fresh from 12 months immersed in my dissertation, I began crafting press releases with relevant and interesting angles. After a month interning for Bridge, I was offered a permanent position which I snapped up straight away. I already felt part of the team. I think a common misconception of PR is that you just send a press release out to the masses and expect them all to pick it up. Each publication has its own style and identity (something I learnt on work experience for a local newspaper) and it is important that as a PR professional you mould the story to fit their style. Since working for Bridge, I have learnt far more than just public relations. For example I have learnt about business strategy, marketing, and social media. Working for Bridge has allowed my business sense to develop into an exciting direction. My client base includes a B2B market and I have had to learn a lot about business processes etc. I have attended many networking events and more recently an economic Chamber conference where I learned a great deal about the business economy, and I’m now even being asked to talk about my experiences at undergraduate seminars in journalism, media and communications. 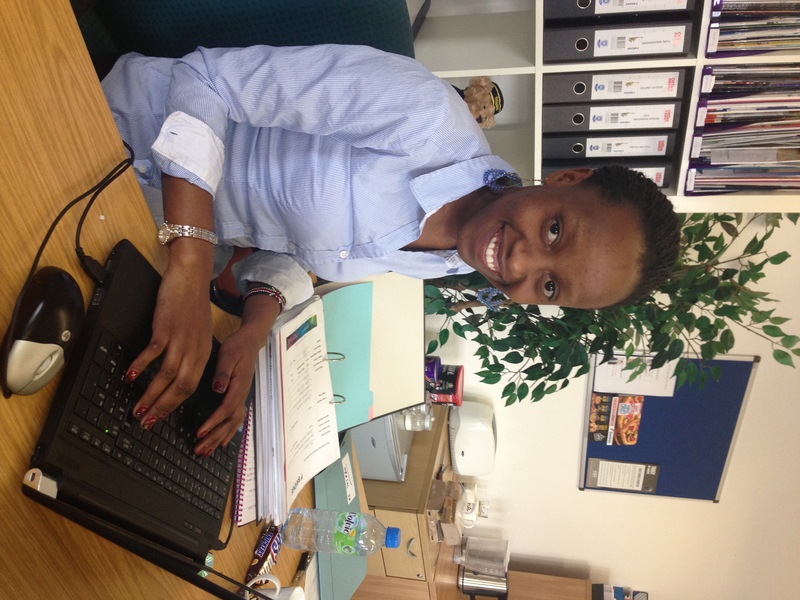 I’m also currently working hard to further develop my business knowledge academically outside of the workplace. What is the first thing you think of when searching the internet for a company or service? It is something you might not even notice you are doing, so subliminal it has become. And yet it is something that we all do every time without fail – come up with key words or phrases to input into a search engine so that websites can find useful matches. It’s not just search engines that require key words though. In fact, a successful and strategic marketing campaign also requires a whole host of key words and phrases. Key words can be used to get across your messages and ideals when used consistently throughout marketing. Think of soft drinks, Christmas and children, think of Coca Cola. Think of cars, windows, scratches, think of Autoglass. Think of your products, services and key audience – do people think of your business? To be successful, keywords need to be implemented from the start of a marketing strategy and consistently spread throughout all activities. From the beginning of your strategic marketing planning, think of all the buzz words that help to describe your business. If you were searching Google for your company, what words would you enter to find yourself? What values are you trying to promote with your business? Put them into words. What words should I be using? Think of words that describe your business. 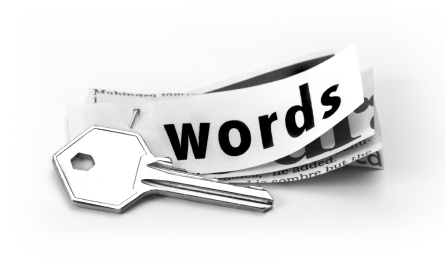 If you are a PR and marketing firm, those need to be your keywords. If you work in engineering, engineering is one of your keywords just as dentistry is one for dentists and computing one for IT companies. Where are you? Are you in Coventry? Then that needs to be a keyword. Offering removal services from Manchester? Then removal services and Manchester need to be in your keywords. That’s the obvious but what about the not-so-obvious? Have a good think. Is there another word that describes one of the existing keywords you have thought of? A good idea is to go through a Thesaurus and find all words similar to those you are including in your keywords. People search for different things. While one person might be looking for accountants, someone else might be looking for financial advisors. It is highly likely that you fit into both titles so make sure your keywords leave no room for error. It’s not just a case of sitting down and penning your keywords – you need to use them as much as possible. Consider them in everything you do that helps to market your business. Keywords can be used anywhere in marketing material to get across your products and services to the right audiences. Begin with the most obvious place – on your website. Your website may have been live for quite some time and gathering a consistent and impressive hit rate but that doesn’t mean it can’t be made even better. Now you have your key words, go back over your website copy and insert them in wherever and whenever appropriate. Even if one of your keywords is a cliché that you don’t want included on your web copy, make sure you still tag it in your META data so it is still present should somebody run a search for it. Done properly, it really does help with your search engine optimisation or SEO, driving your website up the search rankings. Keep these keywords at the forefront of your mind for any other marketing material you produce. A press release about a new product or service offers a great opportunity to embed some of your key words while a direct marketing letter gives you the chance to be bolder when including these terms. Blogs are written by you and read by industry experts, followers and those interested in your business. What a fantastic opportunity to stamp some of your key words into your prose! What’s more, when writing a blog, unlike a press release – you have the final say over how it is published. Be striking and get your keywords as prominent as you can. Use one in your headline, add a sub-headline and don’t forget to tag the entire post with your key words. Again, keywords in blogs help with your SEO, and don’t forget to tag any images or videos you use with your key words. Be consistent. Your keywords aren’t working? Then you need to sit down and think why this is not going to plan. Perhaps your industry is changing and your keywords are not supporting these changes? Maybe your target audience aren’t searching for your key words because your keywords are old fashioned or outdated. 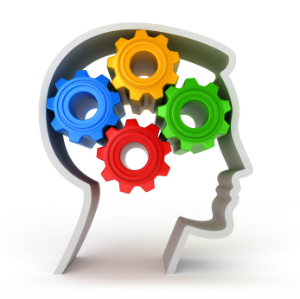 Put yourself in the mindset of a potential customer demographic. If you are selling to businesspeople think what kind of terms businesspeople will be using. It is unlikely to be slang words or terms that have been added to the Oxford English Dictionary within the last five years. They are more likely to be searching for the more traditional words that describe your business. By regularly evaluating your key words and implementing them within your marketing strategy you can be sure that your key messages are being picked up by the right people operating in the right circles. Just as Google regularly reviews and changes its SEO terms, you need to be updating and changing your keywords for maximum effect. And don’t forget, you can monitor the effectiveness of key words in your industry sector by using a free tool: Google Alerts. This will bring you regular updates and information from across the Internet using the key words you set up. It’s great for keeping an eye on your customers, competitors, and key industry trends as well as what is being said about your business – all because you’ve invested some time in thinking about key words that are important to your business.